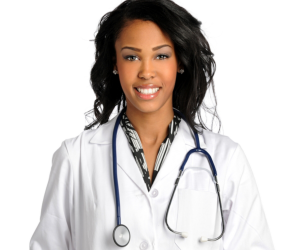 How is internal medicine billing different than other types of medical billing? To answer, we must recognize the unique properties of internal medicine. Does diagnosing disease require more time with patients, more physician collaboration or prescription medication? The basics of internal medicine documentation for billing require a new mindset for each patient visit. How Does Internal Medicine Billing Work? The Internal Medicine doctor documents details of each visit, from session length to medications prescribed, and any other actions taken. A medical coding specialist translates the visit into the appropriate numerical codes that allow for easier communication with providers and anyone else who may need this information. When you choose to work with JS Medical Billing, this is the point at which we take over. We can bill insurance providers as well as your patients while maintaining HIPAA compliance and any other state or federal regulations and are responsible for proper collections and billing maintenance, saving you time and hassle while increasing revenue. Internal Medicine Billing is an essential part of practice organization, and it grants you a better way to analyze charges for every Internal Medicine visit or procedure that occurs within the facility. Internal Medicine Billing software can help from the point of scheduling, through note documentation and into billing. However, software still requires time investment. Depending on the software’s level of detail and the amount of tasks it carries out, you’ll need a bigger team to handle it. JS Medical Billing is using cloud-based software program called Kareo. We are very flexible to your needs, from the method of data exchange to the amount you want to be involved. You will also have full access whenever you want, 24 hours a day, every day of the week. A software program in itself is just a tool, but JS Medical Billing specialists understand how to use the Kareo tool to its fullest. How Much Does Internal Medicine Billing Cost? Mistakes in improper Internal Medicine coding cause the loss of thousands of dollars each year. By investing in a third-party medical billing team like JS Medical Billing, you are assured coverage that eliminates mistakes. A one-time startup fee of $250 per clinician, plus 5-7% of the amount you receive. Accelerated payments, increased revenue and transparency all make your job of caring for patients a little bit easier, so get started today! We get the work done quickly and accurately, providing personable support that will ensure you can keep your practice running smoothly. You can always count on to reach a person when you call. We offer a full range of medical billing services, customized to meet the needs of your practice. We charge a percentage of the amount collected, and this percentage ranges from 4% to 10% for most practices. JS Medical Billing will provide you with a stress-free work environment that exceeds all HIPAA and other legal requirements, leaving you and your staff to focus on providing the best medical care possible.